Are you tired of seeing the same old bathroom in your Southampton home? Take action today and have a new bathroom installed by Stile It. 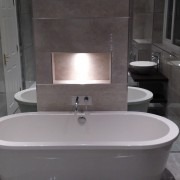 Whether it is a bathroom design, supply or fit, all services will be completed to the highest industry standards. Look nowhere else for the best bathroom fitter Southampton has to offer. As time progresses, bathrooms suffer wear and tear with age and use. The downside of this is that it will make your bathroom look lacklustre and uninspired. Stile It will refurbish your bathroom in Southampton to your requirements like install a shower, new tiles, painting and many more. 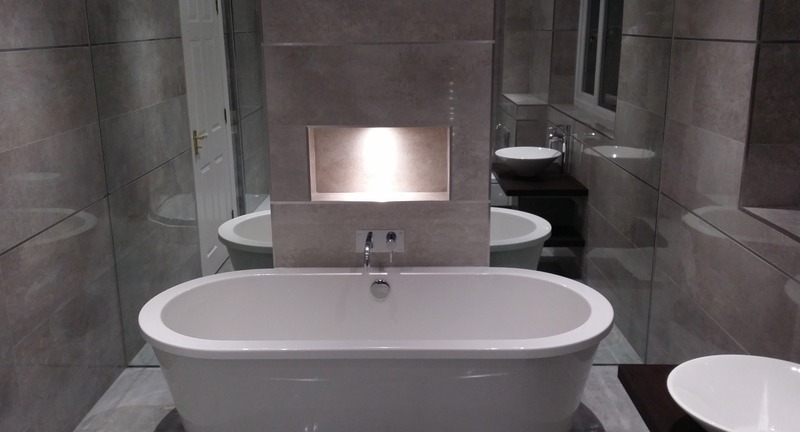 So whether you have moved house or fancy a new bathroom in your existing property, Stile It provides a complete bathroom design and installation service. We will work with you to ensure we deliver a bathroom of your dreams. In addition to our design services, we fit bathroom suites into homes. An en-suite bathroom is a superb way to add value onto your home, and we have years of experience in designing and installing en-suites for many Southampton homes. If you are unsure about an en-suite for your Southampton home, do not hesitate to call our Southampton bathroom fitters today for more advice. Baths are not only outdated they are very cumbersome and take up a huge proportion of space in many bathrooms. In comparison to baths, showers offer homeowners a sleek, modern alternative to bathing. A shower is not only compact, but it is more economical than baths. Stile It have the staff and experience to install a range of shower suites. When you use Stile It for your bathroom fitter in Southampton requirements, it will be a decision that you will not regret. Unlike other Southampton bathroom fitters, we also provide a plumbing service that will take care of any plumbing requirements so that you only hire one firm. If you searching for a trustworthy bathroom fitter in Southampton, choose Stile It today. We have over 15 years of experience in fitting a multitude of bathrooms throughout Southampton. Unlike other companies, we offer a two year workmanship guarantee and a five year product guarantee – evidence of the quality involved in our services. All services we provide are tailored to the needs of our customers and their homes. Call Stile It today for a great bathroom fitter Southampton service on 02380 633966.